Our Guarantee: We repair before we replace! The HVAC experts at Cowboys Air Conditioning & Heating offer quality repair, installation and other heating and cooling services to residents in San Antonio and beyond. Residents of our San Antonio know the importance of a great cooling system in the home. At Cowboys Air Conditioning & Heating, we offer quality air conditioning installation and replacement services so that your home is always outfitted with the latest in air conditioning performance and energy efficiency. Whether you need a ductless mini split for your new dream house, or your old central air conditioning system has come to the end of its service life, we can make sure that your new system is appropriately sized for your home, and works well for years to come. While outsiders don’t often think of the cold when it comes to Texas, residents know that if they want year–round comfort, they need an excellent heater. At Cowboys Air Conditioning & Heating, we offer a diverse array of heating services, from installation and replacement to repair and maintenance. Whether you need us to service your gas furnace, or need a comprehensive hybrid heating system installed, we can make sure it’s done right the first time. While temperature has a major impact on your home comfort, it’s not the only factor. If you have a forced air distribution system in your home, you need to make sure that your ductwork is clean and leak–free at all times so that your heating and cooling system works effectively and efficiently. 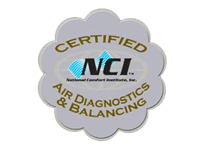 We offer various indoor air quality devices that integrate directly with your existing HVAC system. They can allow you to control the relative humidity of your home, and to eliminate pollutants. Cowboys Air Conditioning & Heating is your go to air conditioning & heating company in San Antonio. We know how much you value the comfort of your home, which is why our technicians offer such a wide range of services. Whether you need an energy efficient central air unit installed in your new home, or your furnace needs professional repair because it makes a strange sound, we've got you covered. Call us 24 hours a day, 7 days a week for emergency air conditioning repair or for heating emergencies in the cold winter months. Our approach to HVAC in San Antonio is simple, and it starts with you. By delivering excellent service at a great price, we can help you find the indoor climate that’s right for you and your family. We offer free estimates, so give us a call at (210) 495-7771 or schedule a service online today to learn more about what we can do for you. The San Antonio HVAC experts at Cowboys Air Conditioning & Heating offer quality AC repair, installation and other heating and cooling services. Considering all the use that your AC system gets during the long hot summer, it’s no wonder that there may come a time when you need air conditioning repair in San Antonio. Our technicians are highly trained, and use the latest technology and methods to diagnose and fix your system, no matter what type or brand it is. We wear clean company uniforms ID tags, and show covers during our service visits in order to prevent any wear and tear on your home. If you haven’t already signed up for one of our excellent preventive AC maintenance agreements, there’s no better way to preserve the performance and energy efficiency of your air conditioning system. Give us a call to learn more today! If you’ve had an AC upgrade on your mind for a while, now is really the best time to act. Spring is here! That means you need to dust off your air conditioner and get ready for the warm spring temperatures.